As part of the 2016 National Nutrition Month® theme, the orthodontic practice of Lisa P. Howard DDS MS in Scarborough ME encourages everyone to choose foods from each of the five major food groups every day. 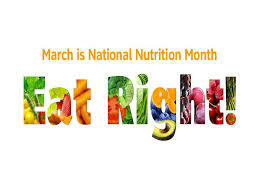 We support all efforts in getting the word out about nutrient-rich foods and drinks. We all need foods that provide vitamins, minerals, protein, carbohydrates and other essential nutrients with fewer calories. Please contact our Scarborough ME office if you have any questions or would like to schedule a complimentary initial exam for you or any member of your family.